Sometimes I just have to wrestle with a print. 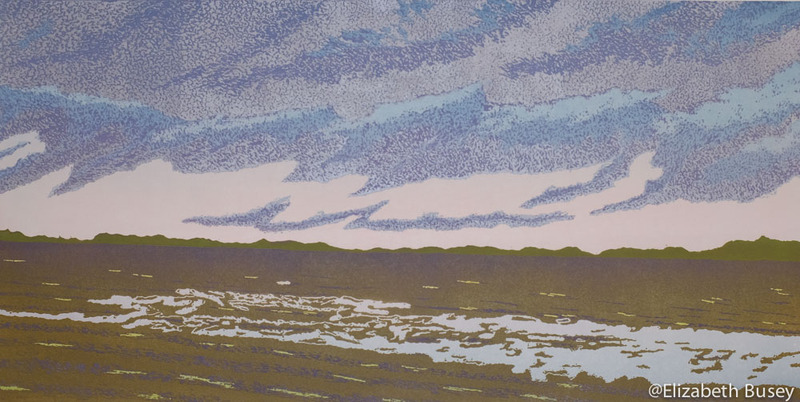 Each layer, each carving, we glare at each other, the print and I. 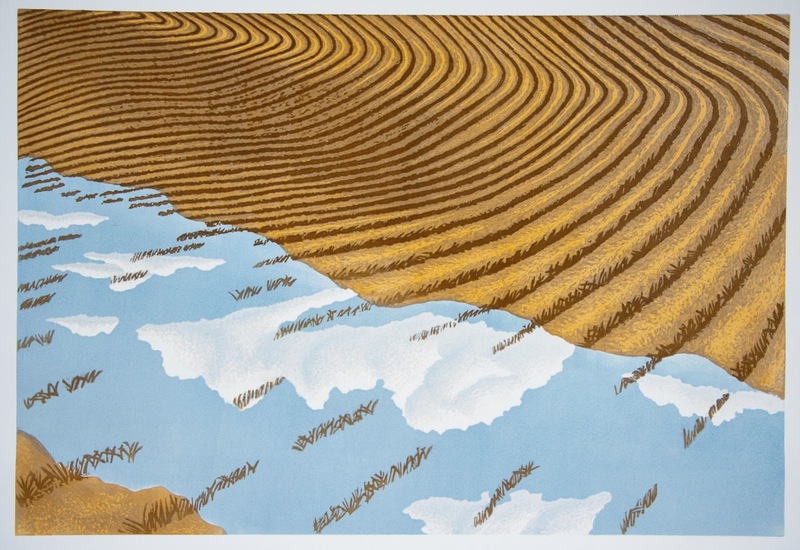 This month I have done battle with my love of aerial perspectives in a print titled March of the Cumulus. 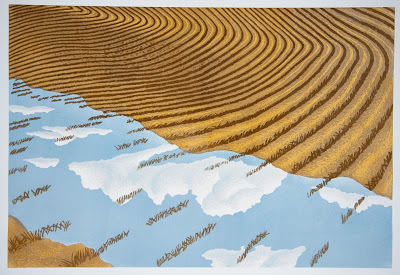 Elizabeth Busey, March of the Cumulus, Linoleum Reduction Print, 2011. 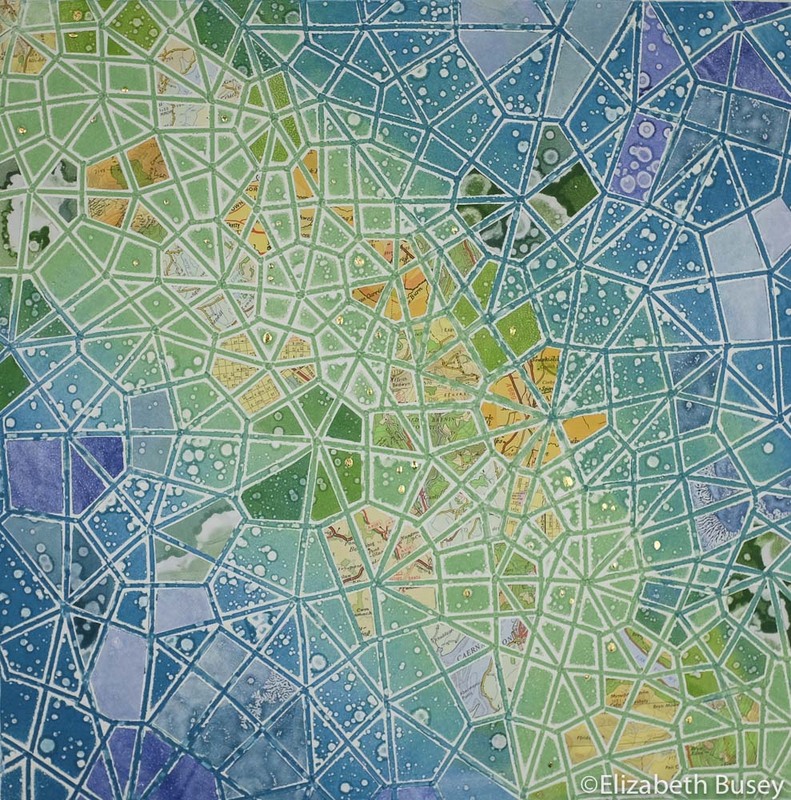 This entry was posted in Topography and tagged clouds, fields, Fourth Street Festival, Linocut, linoleum reduction print, projective spatial concept, quilt, relief printmaking, shadows, topography on August 29, 2011 by Elizabeth Busey.